In today’s world, human resources is an increasingly important field for businesses across numerous industries. If you’ve recently been thinking about your career, and you want to be a part of a job function that really makes a difference within organizations, note the position of HR coordinator might be ideal for you. Human resources coordinators are individuals who plan and direct the administrative functions of a business or organization. They work closely with human resources managers and directors to oversee issues, implement plans and processes from managers and organizational plans, and work on the day-to-day employee issues that any HR department is responsible for, including: compensation, employment, labor relations, and employee relations. Acting as a liaison between employees and benefits providers such as 401K plan, insurance, etc. The job of an HR coordinator also involves quite a bit of research. In larger organizations, they may be responsible for surveying employees and managers to determine which work processes need improvement, or how they can produce productivity by looking at data, time sheets, work production reports and more. Larger organizations may employ a number of coordinators in specific areas to ensure things go smoothly and that all functional areas are operating at peak performance. Some of the coordinators may include: hiring, training and benefits. One of their primary responsibilities is typically connecting employers and job seekers. In place of a formal recruiter, the HR coordinator will first meet with the hiring manager and other stakeholders to determine which positions need to be filled. The coordinator will then connect with potential applicants to put the interview process in full swing. The HR coordinator may also hire new employees, plan and execute orientations for new hires, and handle worker compensation claims. If the company does employ or work with a recruitment team, the HR coordinator will work with the recruiter to execute the job hunt. A benefits coordinator is tasked with all aspects of an organization’s benefits plan, which can include health insurance, dental insurance, life insurance, retirement plans, disability coverage, and payroll. Maintaining accurate employee records is an essential part of the employee benefits coordinator’s job, as benefits stop and start based on these records. Benefits coordinators are also responsible for entering in and maintaining salary changes status reports, and will work either with internal payroll managers or external companies to ensure all changes are processed and that everyone receives the correct pay and benefits. 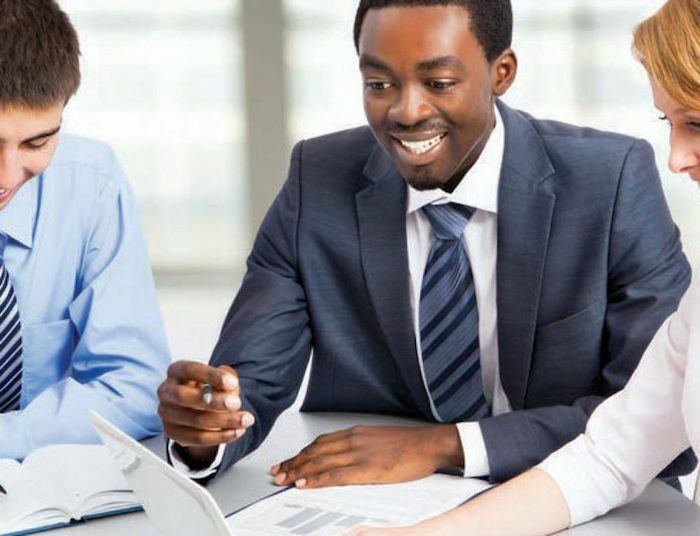 A training coordinator is the person or persons within the HR department who works with newly hired employees and their managers to prepare them for their new role. From onboarding and ensuring all paperwork is completed to delivering and creating training modules, the training coordinators have a big role within many organizations. They often create and deliver trainings for existing employees as well, on topics such as diversity and inclusion, compliance, safety and more, working with managers to make sure their employees are carrying out the functions of their jobs well. The salaries earned by HR coordinators will differ from company to company. Salary distinctions may also surface in context of key factors such as education, experience, and performance. According to the U.S. Bureau of Labor Statistics, the annual median salary for HR coordinators is $110,120. Generally, working as an HR coordinator requires you to obtain a bachelor’s degree. The bachelor’s degree should be in the field of human resources management or a related field (such as business or personnel management). Obtaining additional educational credentials, voluntary certifications, and more job experience is also helpful. As mentioned earlier, individuals who wish to become HR coordinators need to complete a bachelor’s degree. If the individual chooses to complete a human resources management degree program, they would likely explore a wide range of subjects. Some of them might include employee benefits, employee development, and operations management. The student might also opt to enroll in a business program which includes the option to take human resources courses as a minor or concentration. In addition to meeting the coursework requirements to obtain a bachelor’s degree, prospective HR coordinators should join professional associations. Doing so enables the individual to gain access to career development and networking opportunities. For example, prospects who participate in the Society for Human Resource Management (SHRM) will be able to participate in student conferences and group meetings while also learning about internship opportunities. Typically, employers seek to hire HR coordinators who have obtained at least two years of experience. When entering the field at the entry level, HR coordinators may spend much of their time assisting human resources managers. Individuals who are seeking to gain experience in the field should consider the value of completing an internship while completing their bachelor’s degree coursework. Also note that many employers will have their new hires participate in job training programs. Within these programs, the future coordinators learn how to examine work performance, identify job titles, and interact with job applicants. Earning a certification in the HR sector is a wonderful way to build credibility, attain more knowledge, and obtain industry-related experience. Note that the certification process for HR coordinators is often voluntary, but may be required for certain positions. In many cases, a professional organization (such as the HR Certification Institute) will provide certification in the field of human resources. This Institute offers multiple certifications, some of which include the Senior Professional in Human Resources (SPHR) and the Professional in Human Resources (PHR). Individuals seeking to attain the highest levels of success within the HR sector should consider the value of obtaining several certifications. Doing so will help the HR coordinator demonstrate competency and knowledge within multiple human resources areas. Research indicates that employers typically look for candidates who have 2-4 years of experience in the administrative support or human resources sector. Job candidates should also be detail-oriented, have strong interpersonal skills, and an ability to make prudent decisions. Additionally, the job candidate should have strong written and verbal communication skills and an ability to use various computer systems with high levels of proficiency. Examples include the ADP database system, Microsoft Office program, and HRIS systems. Once you have successfully transitioned into the field of HR, you may be interested in career advancement. If you are seeking increased benefits or higher pay, you should consider the value of obtaining a master’s degree in the field. Master’s-level programs are offered in the fields of business administration and human resources. In many cases, courses within this field include the study of topics such as global workforce management, leadership development, consulting, finance, and organizational development. These programs take one to two years to complete and depending on your position and company, you can often apply tuition benefits from your work toward your education. You’ll take courses that you can directly apply to your work, such as HR Analytics, Strategy, Organization Design and Change Management, to name just a few. People who have decided to pursue a career as a HR coordinator should know that this career path could be personally and professionally rewarding. Review the information found in this quick reference guide to help you make an informed decision regarding whether this career path would be a good one for you.